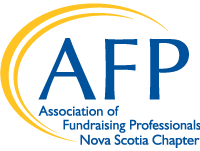 The Mentorship Program through AFP Nova Scotia is designed to match a junior fundraiser, with 3 years or less experience with a seasoned fundraiser for coaching in an area or areas they would like to learn more about. It provides an opportunity for the mentee to get one-on-one coaching and learn more about the pragmatic side of fundraising in complement to the more formal professional development courses available. It provides the opportunity for the mentee to hone in on specific skill they wish to cultivate and allows the mentor to help advance the profession of fundraising in Nova Scotia. This a program open to AFP Nova Scotia members only. We are looking for mentors who have knowledge and at least 6 years’ experience and who would like to "give back" to their profession. Mentee candidates must be currently employed as fundraising professionals and must demonstrate commitment to the profession and to learning. Spaces are very limited and the program is open to enthusiastic, dedicated fundraisers who are passionate about learning best practices in the field. We will match mentors and mentees based on the needs of the mentee and the experience of the mentor throughout the year. The meetings will be structured around the needs of the mentee. However, we encourage mentors to be very specific in their applications about their wishes, including the level of experience their ideal mentee should have and what specific areas of expertise they wish to share. Pairs are expected to meet regularly and have one face-to-face meetings each month. It is the responsibility of the mentee to reach out to the mentor to set up the meetings and it’s highly recommended for the first meeting to be face-to face to determine on the onset of the relationship the need of the partnership. It is important for the mentee to ensure that meetings are scheduled on a regular basis and located at the convenience of the mentor and that agendas are prepared and circulated beforehand. This will enable the mentor to properly prepare for the meeting. We ask that you maintain the relationship for a year. If you miss more than 2 of your coaching sessions, we will reassign your mentor to a new mentee. We currently have a waitlist of mentees looking for coaching, so please make sure you take advantage this free resource and use it to both our mutual benefits. If for any reason, the mentor/mentee relationship is not working, please feel free to contact our coordinator who will review the issues. We will review the relationship with you at the 3 month mark to see if the relations should continue to be reassigned. The relationship is meant to be career specific and is not to be used or construed in any way as a consulting relationship. Mentors are encouraged to recommend appropriate resources i.e. courses, workshops, educational opportunities, vendors or consultants. We recommend the Mentor and Partner advise their employer they intend to participate in the Program. Mentors and Partners will respect some of the information they share about their organizations is confidential in nature. Applications are submitted using one of two online forms (linked below). Matching of mentor/mentee pairs take place as soon as possible and a member of the Mentorship Committee contacts those who have been matched prior to an intake session held shortly thereafter.